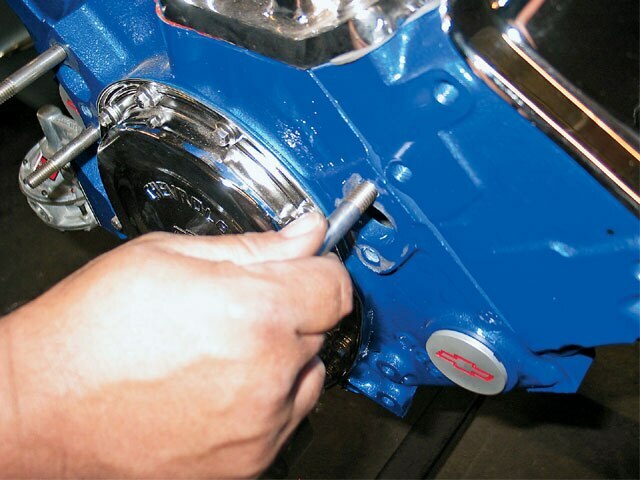 Summit Racing has everything you need to get your engine on the right track. 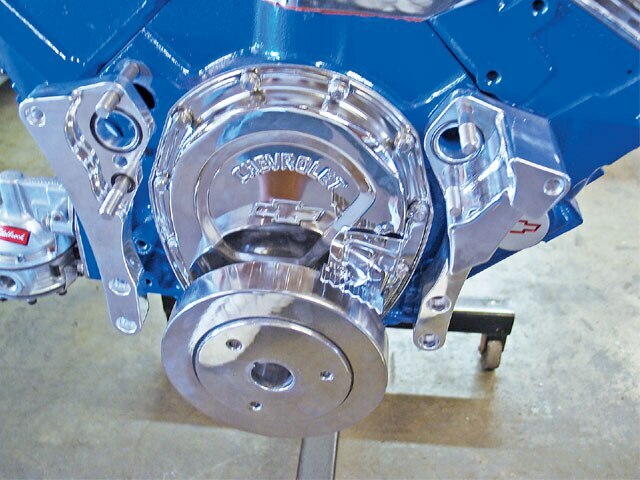 We recently went shopping online at www.summitracing.com and were impressed by the amount of quality custom engine products to be found there. 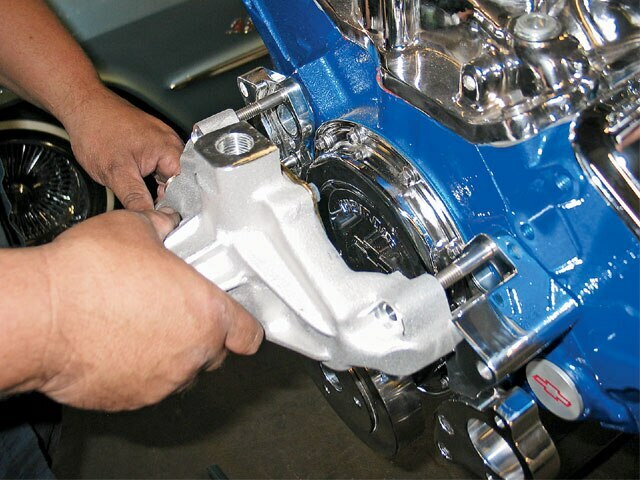 From mild to wild, Summit Racing has everything that you’ll ever need to build or dress a custom engine. 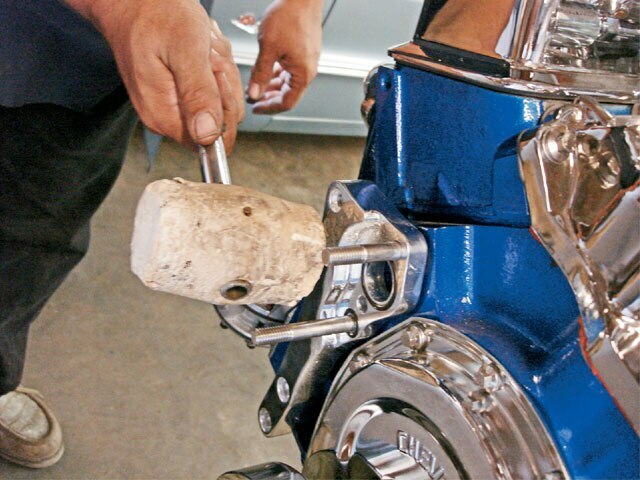 We then stopped at Primo Restorations of Ontario, California, where Frank Melendez and his crew were working on a GM Performance small-block 350-c.i.d. 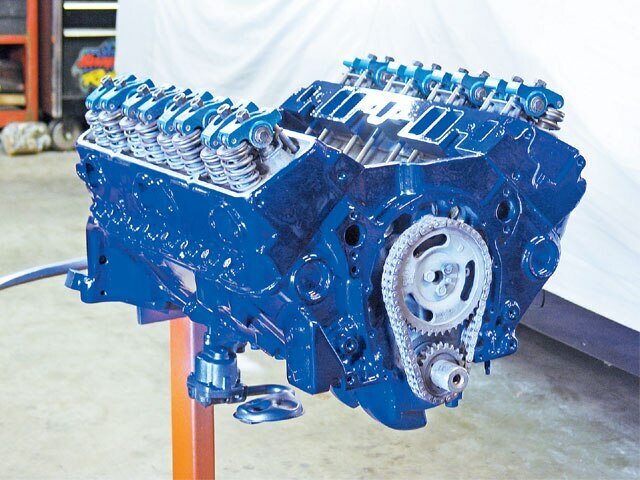 “crate” engine. The candy-painted block was about to get a Billet Specialties serpentine belt kit that was obtained through Summit’s easy to use website. 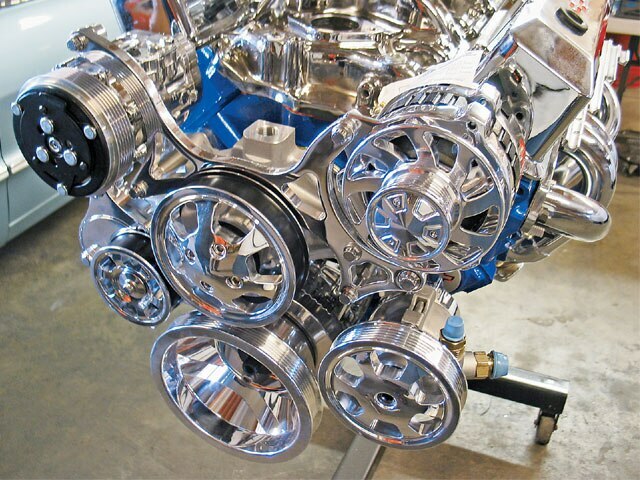 A serpentine system improves your engine’s efficiency, plus it looks cool. 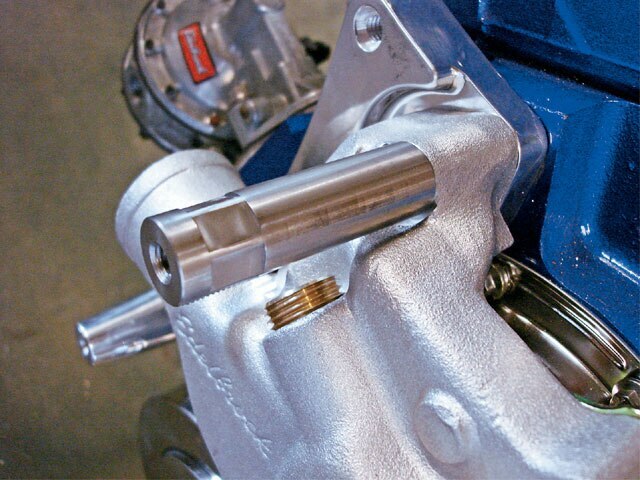 The Billet Specialties serpentine system is engineered to bolt right on and align perfectly without stabilizer brackets or adjuster bars; perfect if you own an early small-block engine. Most of the heads on yesterday’s 327-283s didn’t have any holes for brackets as there weren’t too many options available for the early small-blocks. 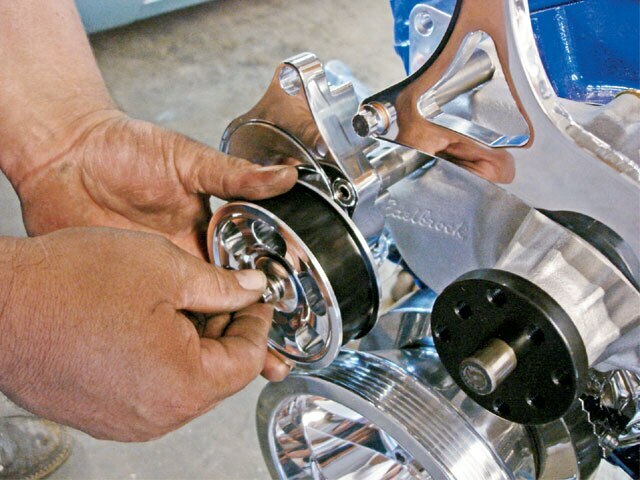 Frank found the perfect serpentine system through Summit Racing. Now follow along as Primo Restorations show us how they dressed up a customer’s car with some under-hood magic, thanks to Billet Specialties and Summit Racing. This crate 290-c.i.d. 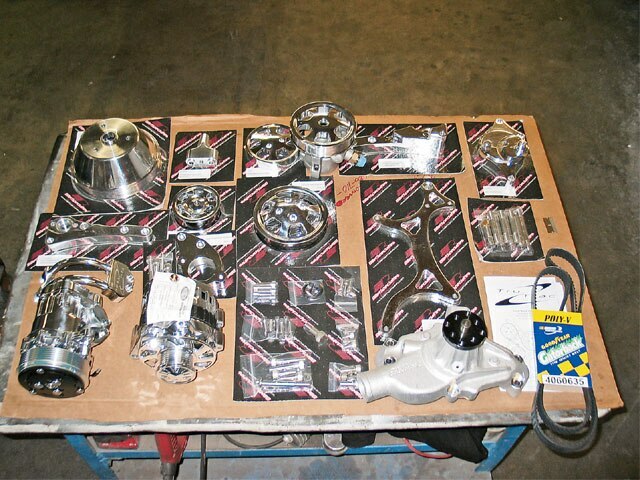 engine from GM Performance Parts was ready to be dressed with some accessories. 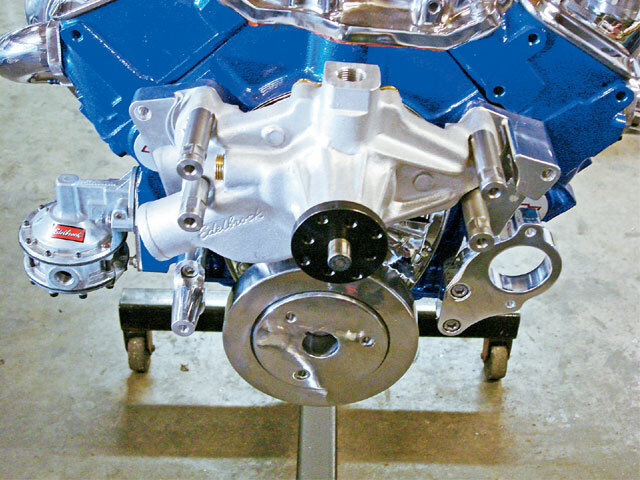 This Billet Specialties serpentine kit was acquired through Summit Racing and comes complete with everything that you’ll need for your block. Starting off with the assembly, the provided mounting studs hold the water pump and mounting brackets in place. Using mallet “persuasion,” the first bracket was tapped into position. The studs were bolted on and tightened into position. As the water pump went on, we made sure that the O-rings on the foundation brackets are still in place. As mentioned, the water pump serves as the foundation and we’re ready for the next step. 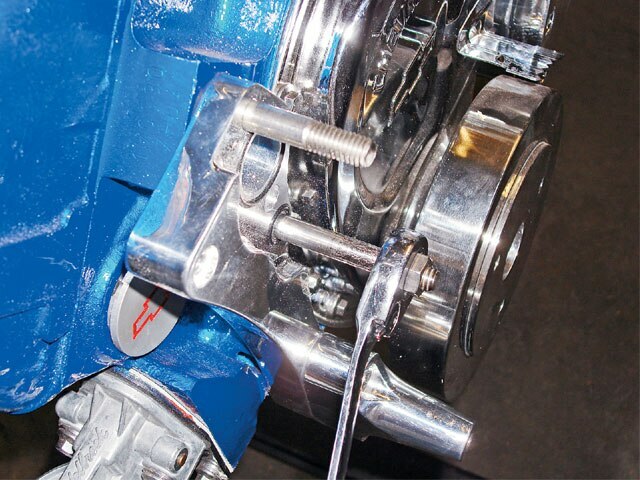 The pre-assembled power steering pump was bolted to the bottom of the driver’s side bracket. The second bracket was slipped into position. Now both brackets which serve as the foundation were in place. 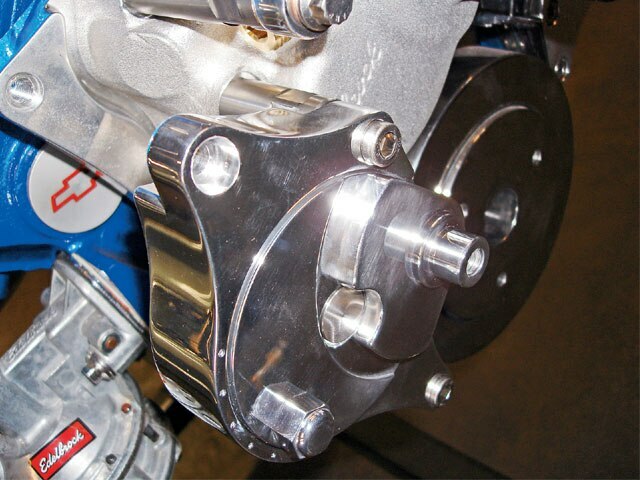 These custom bolts hold the water pump in place and allow the second brackets to be bolted on. Next up was to bolt on the Power Master alternator. The tensioner was next on the agenda. This tensioner evens out the belt’s tension so we made sure that there’s no slippage. The harmonic balancer pulley was bolted on. The tensioner pulley cover was bolted on. The A/C pump was bolted on. The A/C pulley cover was one of the last items to go on. 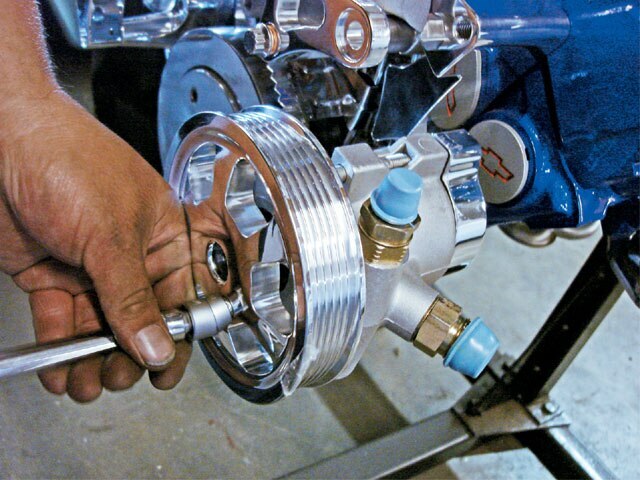 The water pump pulley was bolted to the custom water pump. The last thing that needed to be done was to add the belt that was provided with the kit. 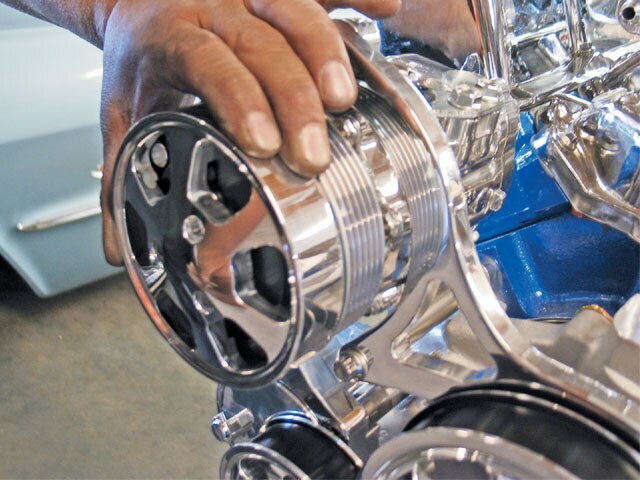 This completes a custom engine front end.